Now made entirely of German stainless steel for longer life. Intraligamental syringe dispenses exactly 0.2cc of anesthetic from any standard cartridge. The slow infiltration of anesthetic prevents dislodging the tooth and helps to numb that specific tooth. Accepts standard 30 ga. needles. Autoclavable. 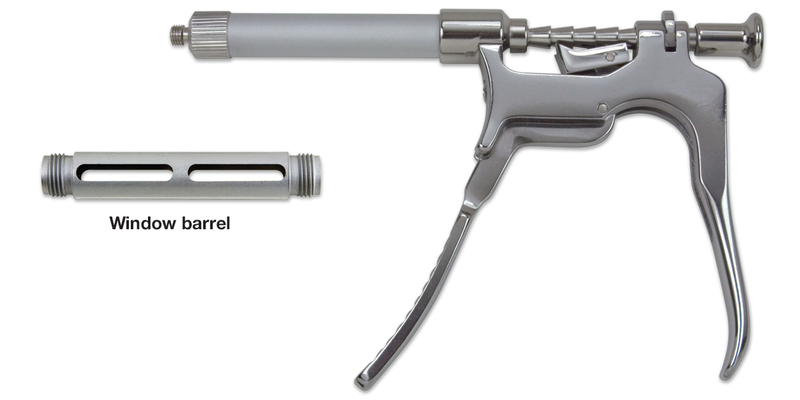 Contains: stainless steel syringe, solid barrel, window barrel.